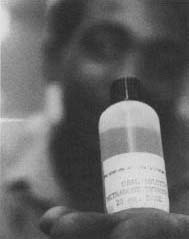 A oral solution of methadone. The drug is often mixed with fruit juice to give it a better taste. This helps make it more appealing to patients.